The Marvel Cinematic Universe is about to get a whole lot bigger when Phase Three kicks off in May with Captain America: Civil War. Once that movie hits theaters, directors Anthony Russo and Joe Russo will start prepping Avengers: Infinity War Part I and Avengers: Infinity War - Part II, with production starting in late 2016 for a back-to-back shoot that is expected to span nine months. As some may recall, we reported last year that the filmmakers were also attached to direct Ghostbusters 4 at Sony, which has Channing Tatum attached to star. But Joe Russo revealed in an interview with Forbes that their commitment to Avengers: Infinity War Part I and Avengers: Infinity War - Part II took that project off the table for them. "There is no status with that for us. There was a period there when Paul Feig was engaging Sony in talks about Ghostbusters and we were also engaging them. He was further along with his process than we were and he closed his deal so that's the only Ghostbusters world that's being explored right now over at Sony. Once we took Infinity War, it took us off the table for any kind of any potential work on a Ghostbusters project." We reported last year that Sony is setting up a company entitled Ghost Corps, which would develop new stories to fit within the franchise. 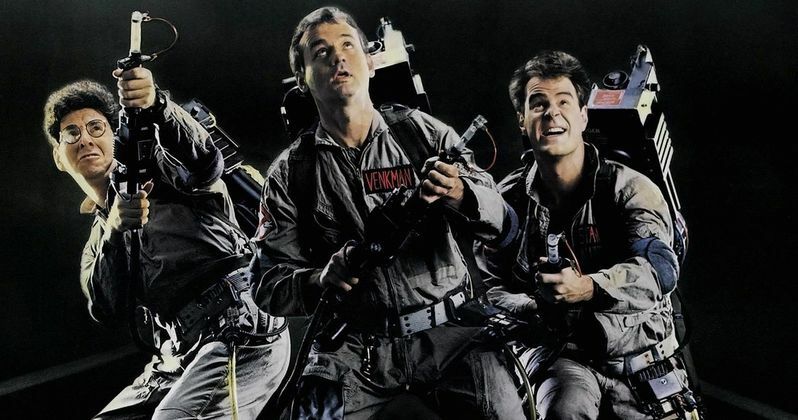 Original Ghostbusters director Ivan Reitman and Dan Aykroyd are heading up this initiative, with Drew Pearce (Mission: Impossible 5, Iron Man 3) writing the script for Ghostbusters 4. However, Ivan Reitman revealed in July that this spinoff isn't happening, and that Paul Feig's Ghostbusters is the only movie the studio is focusing on. Just a few months later, it was rumored that a Ghostbusters Animated Movie is happening at the studio, and earlier this month, the project found a director, with Fletcher Moules, best known for directing the animated Clash of Clans commercials, coming aboard to direct. The sci-fi/horror comedy adventure will reportedly centers a team of scientists together in Manhattan who develop new technology used for capturing and containing ghosts. They must save the city when a supernatural entity threatens to wipe out mankind. The studio hasn't set a release date for the Ghostbusters Animated Movie, and it isn't known if this movie will connect to the Ghostbusters reboot, which hits theaters on July 15. The future of this Ghostbusters franchise surely depends on how the reboot, starring Kristen Wiig, Melissa McCarthy, Leslie Jones, Kate McKinnon and Chris Hemsworth fares at the box office, but we'll have to wait and see. Would you have liked to see the Russo Brothers direct a Ghostbusters movie?